I forgot to tell you about the amazing book we found during the 'book uncover.' 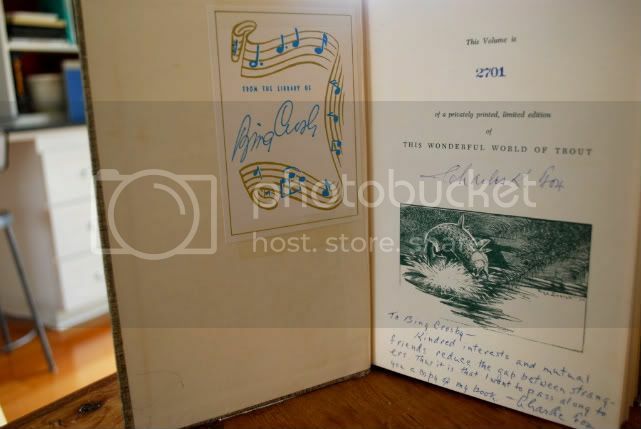 Ross's Grammie gave him this book 10 years ago and when we took off the cover we found that it came from Bing Crosby's library. neat.